Note: This article was first published on June 10, 2018 and is being republished on August 28, 2018 after the Pune police launched raids at homes and offices of lawyers and activists across Delhi, Pune, Hyderabad and Ranchi in connection with the Bhima Koregaon violence investigation. Mumbai: On June 6, the Pune police, in a “joint operation” closely coordinated with the police of Nagpur, Mumbai and Delhi, arrested five persons. Since the arrest, the police have come up with several versions of – from claiming that the five persons were behind the violence that disrupted this years’ annual celebrations at Bhima Koregoan memorial, to saying they were supporting Naxal activities to finally the most recent story – that they were plotting a “Rajiv Gandhi style” assassination of Prime Minister Narendra Modi. The initial FIR has been modulated and stringent sections of the Unlawful Activities (Prevention) Act have been applied against them. For each of the five, hostility from the police and the state is not a new experience. The five include Sudhir Dhawale, writer and Mumbai-based Dalit rights activist, lawyer Surendra Gadling from Nagpur, Mahesh Raut, a young activist on displacement issues who is also a former Prime Minister Rural Development Fellow from Gadchiroli, Shoma Sen, a university professor and head of the English literature department at Nagpur University and Rona Wilson, a Delhi-based social activist who is a core committee member of the Committee for Release of Political Prisoners (CRPP). A more detailed profile of each one of them provides a better picture of their background and their work. Born to a Dalit family in the slums of Indora, an Ambedkarite hub in Nagpur, 54-year-old Sudhir Dhawale has always preferred being a “foot soldier” in any movement. Best known for his coordination rather than his leadership skills, Dhawale is a well-known name in protests and fact-finding exercises post any human- rights violation in Maharashtra. 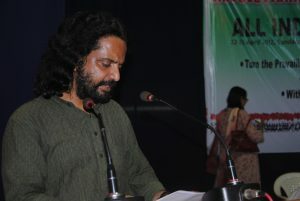 While the 2002 Gujarat riots led to him launching his radical bi-monthly magazine Vidrohi, he started a cultural-political organisation called ‘Ramabai Nagar-Khairlanji Hatyaakand Virodhi Sangarsh Samiti’ in 2006 following the murder of four persons from a family in Khairlanji in the Vidarbha region of Maharashtra. The organisation, however, disintegrated soon after and another organisation, the Republican Panthers Jaatiya Antachi Chalwal (Republican Panthers Caste Annihilation Movement) was born on December 6, 2007, at the Dr. Bhimrao Ambedkar memorial in Chaityabhoomi, Mumbai. His friends and colleagues say Dhawale – a man of a very few words – took to political thinking at a very young age. In his younger days, he was actively involved in activities of CPI (Marxist-Leninist) People’s War, which was not a banned organisation then. Until 1994, he was active in the movement in Nagpur, and moved to Mumbai in search of a job. His long-time friend, activist, Vira Satidhar, the lead actor of Marathi film Court recalls Dhawale’s early days in politics, calling them a time of as that of “trial and error”. Dhawale began with the left movement, stayed through his college life with different left-leaning cultural and political organisations. But he soon realised there was nothing for a Dalit in it. “He was acutely aware of his Dalit identity and of the issues that a Dalit faces in our caste-ridden society. He moved away from the Left and developed his own political understanding over years,” Satidhar says. Vidrohi started as four-page magazine and soon it became eight pages. “In a few years, it took the shape of a full-fledged magazine which was published twice every month and spoke of pertinent issues concerning the country. He is a sharp, perceptive and an independent thinker. His writings reflected that,” Satidhar adds. Having spent his life being a part of social movements, Dhawale’s interactions with the state and police have been routine. His magazine, though produced on a small scale, was potent enough to rouse the ire of the establishment. 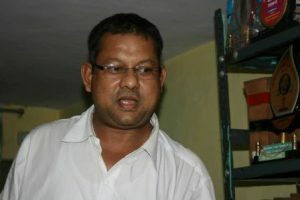 On January 2, 2011, he was arrested for his purported links with the Naxal movement. The shoddy investigations and the flimsy evidence gathered in the investigations were rejected by the trial court and he was released after spending 40 months in Gondia prison. Dhawale returned in May 2014, this time more determined and resolved to take his magazine to a larger audience. His wife, the younger sister of Gadling, another person arrested with Dhawale, decided to part ways and move back to to Nagpur with their two children. In June 2017, Dhawale floated an ambitious plan – of bringing Dalit leaders from across spectrum together on one platform to speak against the present regime. That’s when Elgar Parishad, a large-scale event with over 200 organisations participating in it was planned. “Unlike the leaders, who only participate in an ongoing movement momentarily and move on soon, Dhawale was a full timer, “ says his friend Satidhar. At the Elgar Parishad too, Dhawale was involved in the planning and execution. “He meticulously planned everything. He had decided only Dalits and Bahujans would occupy the centre stage. He wanted to show the Bahujan strength to the state. He succeeded in it.” It was the success of the event, Sathidar feels, that led to his arrest. Born in a same neighbourhood as Dhawale, every choice in 47- year old Surendra Gadling’s life has been “political”. Starting as an apprentice in the railways soon after finishing college, Gadling participated in many socio-cultural movements in Nagpur. Soon, he along his friends – Sambhaji Bhagat an activist, a people’s poet and balladeer and Vilas Ghogre, also a prominent poet and activist from Mumbai who committed suicide to protest against the 1997 Ramabai killings – started an organisation called Awhan Natya Manch. This group would organise cultural evenings in the bastis of Nagpur and engage in conversations around rights and oppressions. Very soon, the group realised it should do more. “They branched out into law. Since Gadling had a keen interest in labour rights and people’s issues, he considered studying law was an obvious choice,” says his partner, advocate Nihalsing Rathod. Over the years, Gadling became a formidable force and a point person for cases of illegal killings, police excesses, fakes cases, and atrocities against Dalits and Adivasis in the region. He soon became an expert in special laws like UAPA, the Forest Rights Act, Scheduled Castes and Scheduled Tribes (Prevention of Atrocities) Act. He also specialises in the cases of those who identify themselves as “political prisoners”. He was, until his arrest, handling the case of G.N. Saibaba, a wheelchair-bound Delhi University professor jailed for alleged Naxal links. He handled most of these cases pro bono. His cases grew, but barely any money came, Rathod says. “In fact, when the police raided his residence early this year, they were surprised seeing his humble house in Bhim Chowk. In the raid, the police only got Rs 5,000 with his wife,” Rathod adds. Gadling lives with his two children, who are both still studying, and his wife and his mother in Bhim Chowk. All five who have been arrested know Gadling as he has, at some point or the other, either represented them or some PIL they had filed in the high court. Along with working with the law, Gadling was an active member of Committee for Protection of Democratic Rights (CPDR) and CRPP. While Gadling’s family and lawyers are busy preparing for the legal battle that lies ahead, his colleagues are looking at those several hundred cases he has been handling and finding appropriate lawyers to appear in them. Advocate Mihir Desai will be now handling Saibaba’s bail application. Over the past few years, Gadling has developed acute arthritis and has a severe blood pressure problem. Since the arrest, Gadling’s health has deteriorated drastically and he was moved to Pune’s Sasoon hospital on June 7. “He has been shifted to an ICU now and had to urgently undergo an angiography procedure,” his lawyer Susan Gonsalves told The Wire. She further confirmed that Gadling was moved to judicial custody from police remand on June 8 due to his deteriorating health condition. Born in Lakhapur village in Chandrapur district of Maharashtra’s Vidarbha region, 30-year-old Mahesh Raut has lived with different relatives all his life. His father, a police Patil of the village, died when Raut was still in the school, and the family moved to nearby Wadsa village in Gadchiroli. Soon after, Raut and his two sisters were sent off to different relatives to pursue their studies. “I stayed with my mother’s elder sister, and Dada with my mother’s brother,” says his younger sister, who works in Mumbai. Raut’s grandfather was a local political leader and according to his family he was deeply influenced by his grandfather’s thoughts. 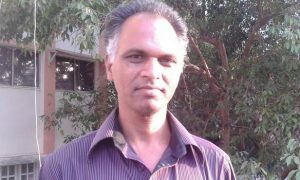 Raut pursued his studies at a Navodaya school in Gadchiroli, and then moved to Nagpur to pursue higher education. In 2009, he joined the Tata Institute of Social Sciences (TISS) in Mumbai to study social work. This is where Raut’s perspective changed, his sister says. “Until then he was very serious about earning money and leading a comfortable life,” says the sister, who has been shuttling between Pune and Nagpur trying to arrange for lawyers and resources for Mahesh’s release. Before TISS, he also taught at a local school for a brief period and was also selected for a teaching post in Goa. 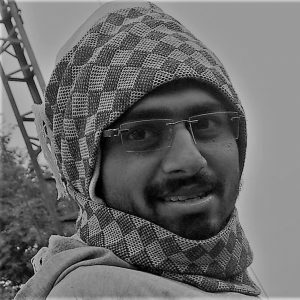 Raut was one of the youngest students of TISS to be selected for the most coveted Prime Minister Rural Development (PMRD) fellowship. Other fellows have now released a letter in his support and signature campaigns have been shown in support of the work he did in the tribal regions of Gadchiroli since 2011. On the completion of his fellowship, Raut decided to work with the Adivasi community in the state. “He would be invited for guest lectures at different colleges. He would make some money out of it. Mostly, he was dependent on us for monetary support. We are proud of the path he chose,” the sister tells The Wire, talking over the phone from Gadchiroli. Activist Lalsu Nogoti, a Zilla Parishad member and an Indian Law Society’s Law College (ILS) alumni lawyer has worked with Raut very closely. Nogoti told The Wire that Raut has led and organised several protests in the region, especially against the Surjagarh mining project. “He only followed the constitutional path and ensured he chose only legal options in his fight for rights. He belongs to a backward community and is aware of the problems that his community and the Adivasis face. That made him a mass leader,” Nogoti says. Raut, a central convener and committee member of the Visthapan Virodhi Jan Vikas Andolan (VVJVA) had been actively campaigned along with Adivasi communities of the region to sell Tendu leaves directly into the market without the involvement of the middlemen. His work in the region and constant confrontations with the police and state administration led to several cases being filed against him. “But this one is shocking. A man who has been busy working with the community is booked in such a serious crime. It is just absurd,” his sister says. For past six months, Raut has been undergoing treatment for acute ‘ulcerative colitis’, a condition that causes the colon to enlarge. “He lost over seven kilos in a matter of a month. He was mostly home bound and was undergoing intensive treatment,” she says. Rona Wilson, a 47-year-old activist from Kolam district in Kerala, had made Delhi his second home since the late ’90s. Having come to the capital during his post-graduation days, Wilson almost immediately took to activism. “He was studying at Jawaharlal Nehru University (JNU) at that time, I was at Delhi University (DU). We already had a vibrant students’ activism circle. Wilson became one among us soon,” recalls S.A.R. Geelani, a well- known human rights activist and Wilson’s friend for last two- decades. Geelani is the founder of the Committee for Release of Political Prisoners (CRPP), a committee he formed soon after his release from prisons in the 2001 Parliament attack case. “Rona was at the forefront of demanding my release. When I was released, he insisted we formed a group to help other such political prisoners who were incarcerated like me. He took up the responsibility of handling public relations,” Geelani adds. CRPP has been operating across every state and is closely looking into cases of those booked for agitating and questioning the state. Jagmohan Singh, the nephew of Bhagat Singh is also a part of the core committee of the organisation. Geelani says that although Wilson’s arrest came as a surprise to many, the raid that was conducted at his house in April made it amply clear that Wilson would soon land in trouble. “He had nothing to do with the Elgar Parishar organised in Maharashtra. In fact, for the past few months he has been inactive and was only focussing on his research proposal which he recently sent to a university in England. After many years, he wanted to join a university and he had plans to pursue a Ph.D somewhere in London,” Geelani tells The Wire in a telephonic conversation. Since his arrest, Wilson’s family has been inundated with calls and visits by local political leaders. Geelani says even BJP workers have been visiting them and that the family is terrified by the sudden attention. “Even though he has been active for so many years, this is the first ever case registered against him. He was not prepared for this sudden whisking away by the police. The charges he and others are booked under are all false and the state is up to some very sinister plans,” Geelani adds. For the past one month, 31-year-old Koel Sen had been busy planning for her mother Shoma Sen’s retirement and 60th birthday. “My mother would have finally taken a break from her routine after almost three decades. We were all very excited.” But after Shoma’s arrest on June 6, the celebratory mood has turned sombre and the family is now caught in a flurry of visits to lawyers. Koel Sen and Shoma Sen (left). 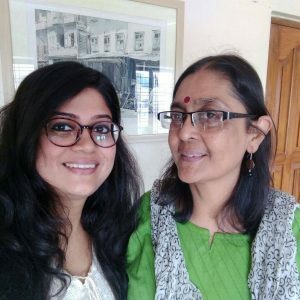 Sen, an assistant professor and head of the English literature department at Nagpur University, has been associated with several women’s rights movement since her college days. A Mumbai girl, born to a Bengali Kayastha family, Sen moved to Nagpur soon after she completed her masters degree in Mumbai’s Elphinstone college. She pursued her M.Phil and Ph.D in Nagpur. Koel recalls growing up at their Nagpur home, and says it was a very vibrant space where several meetings would be conducted. “But in 2007, with my father Tusharkant Bhattacharya’s arrest, things changed,” Koel says. Since then, both her parents have been less active in the outside world and mostly focus on their teaching and translation work, Koel tells The Wire. On June 6, when her mother was arrested, Koel was in Mumbai. “I work in Mumbai as an independent filmmaker. I woke up to the news of these arrests. I did not know my mother was also one of them. When I found out, I left for Pune, where she was supposed to be produced,” says Koel. Court and jail visits are not new for Koel. When her father was arrested in 2007, she recalls of having visited him in the prison several times. “My 20s were quite intense with a lot of these happening in the family. My father was accused of being a part of Naxal movement and had to languish in jail for four years. But once he was acquitted from all charges and was released in 2011, he continued to focus on his writing and translation work,” she says. Koel says her mother, who was otherwise very active in her heyday while participating in human rights meetings and conferences, has slowed down over the years. “Over the past few years, she had been leading almost a bourgeois life, with two domestic workers and a driver at her disposal. She was really looking forward to a peaceful, comfortable life post retirement,” she says. Like most of the others arrested, Sen too had no connection with the Bhima Koregaon event. “My parents are in solidarity with the movement. But that is all,” Koel says.